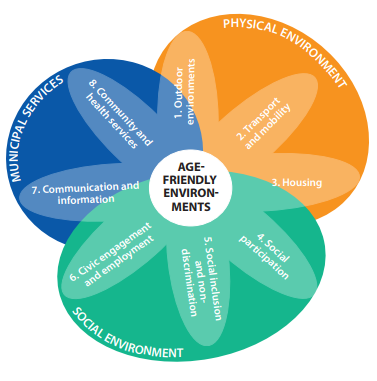 Policies to create better age-friendly environments have become a forceful movement in Europe and globally in which a growing number of cities and communities, local authorities and regional governments participate. The World Health Organization (WHO) just published a handbook for local policy-makers and planners based on lessons learned from existing age-friendly initiatives in Europe and from the latest evidence from research. It offers a new focus on inter-connectedness and mutual synergies between the eight domains and how they can work together to address common goals such as increasing social inclusion, fostering physical activity or supporting people living with dementia. 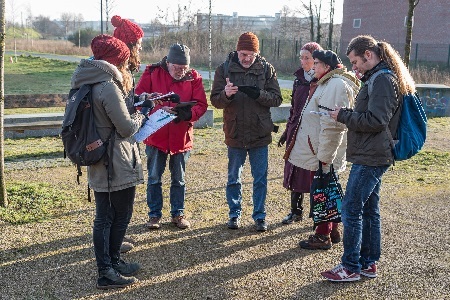 On Thursday last week, we primarily tested the jointly developed application for district walks in the city district Bremen Hemelingen together with our participants. Since last summer we have conducted walks in the district and digitalised them in a map application together with a group of senior citizens from Hemelingen as well as local stakeholders. 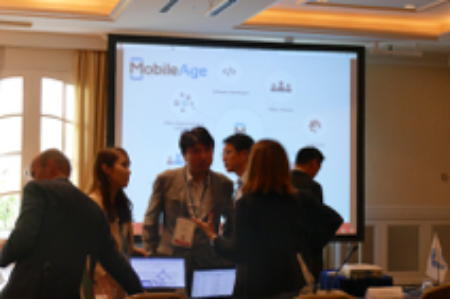 The project was discussed among Breakout Group 4 during Sessions VI and VII on Interaction Day of the 51st ICA International Conference which took place in Tokyo, Japan September 11th-14th 2017. 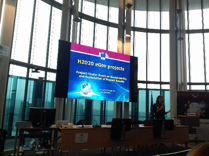 Gov2u partner member, Dora Spyropoulou attended the conference and discussed the abilities of MobileAge during discussions addressing the topic of misinformation and dealing with providing information to vulnerable groups including aging population. Our partners from Tingtun and Government To You represented the Mobile Age project in the “Digital Transformation of Public Administrations Event” that was organized by the Directorate General for Communications Networks, Content and Technology (CONNECT) and the Research Executive Agency (REA). 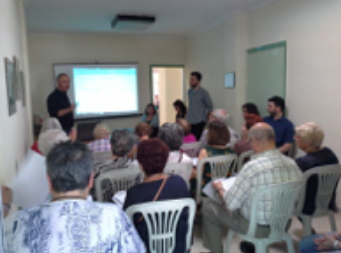 Via three meetings with Open Care Centre members in Thessaloniki, our partners from the Region of Central Macedonia (RCM) presented the project, the steps followed so far and discussed about the problems and needs of elderly people of the region. Moreover, the participants evaluated the services and work on the pharmacists procedure. From June to December 2017 Lancaster University (ULANC) organised a number of exploration and co-creation workshops with elderly to explore avenues of work with SLH services targeted at their own residents, to discuss about the app, what information should be included in older adult user profile, as well as the risks and benefits using a user profile. Loneliness and isolation affect thousands of elderly people across the Border area. Now a group of older people in Kendal have been helping researchers at the University of Lancaster pioneer an app that is aimed at getting them out and about. It’s a paradox of modern times. The easier communication has become, the more quickly isolation and loneliness has spread, particularly among older adults. Is there a high-tech way to create new joined-up communities? Maybe, says Niall Hayes, but only by getting the low-tech right first. We know we have an ageing population, and we know what problems this brings, particularly in a society that’s increasingly mobile and less attached to a community and more traditional social activities. According to Age UK, 3.9 million older adults see the TV as their best form of company. It’s bad for mental health - and also physical health, with a recent research study claiming loneliness increases risk of death by 26%, equivalent to smoking and obesity.